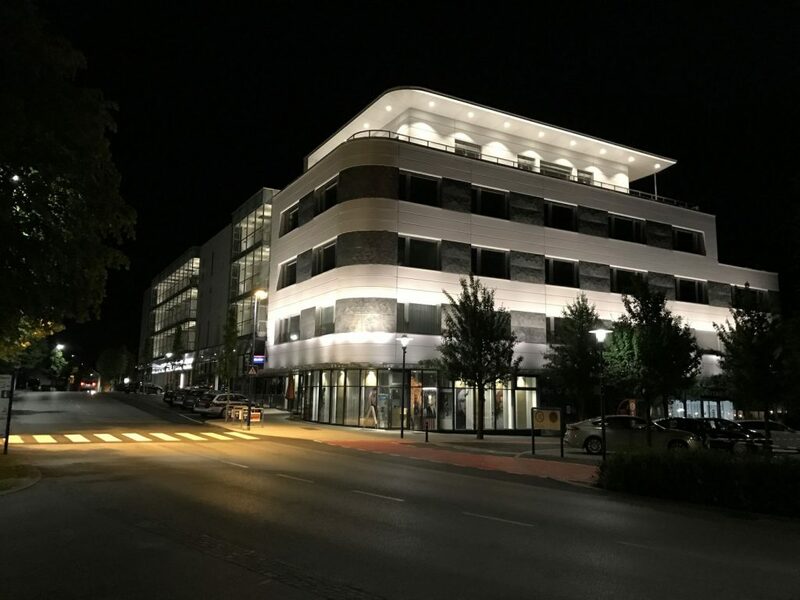 As an extremely successful new building in a prime location right in the centre of Bad Schallerbach, the new residential and commercial building with the characteristic name "Zentrum" attracts attention from afar. It was not easy to find an appropriate façade design for this prominent location. 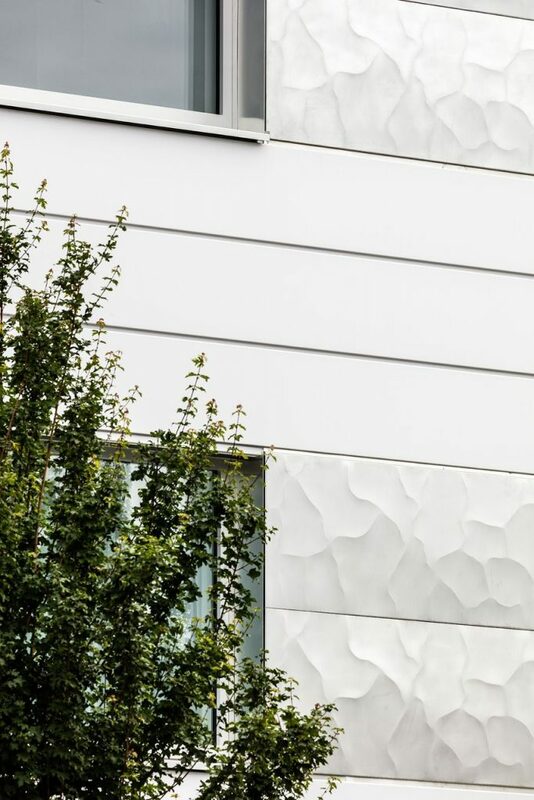 With the DOMICO façade we succeeded in combining function and high-quality architecture. Everyone who sees the building is thrilled! 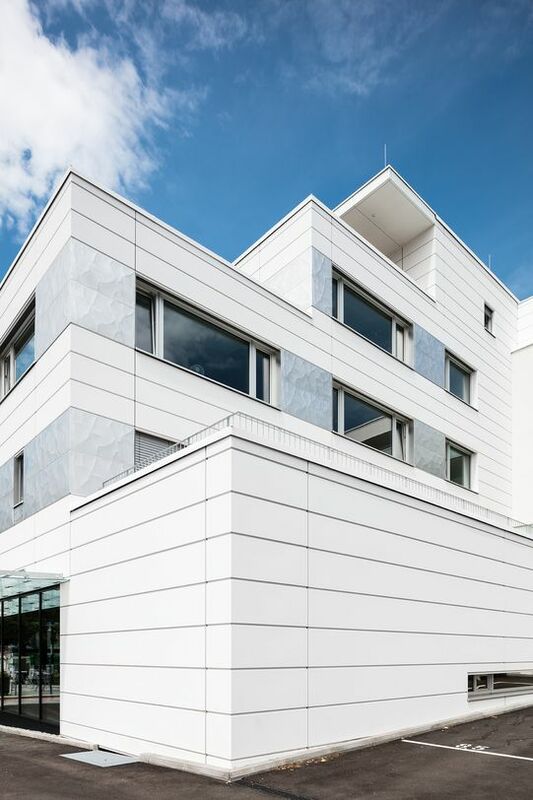 As an extremely successful new building in a prime location right in the centre of Bad Schallerbach, the new residential and commercial building with the characteristic name “Zentrum” attracts attention from afar. 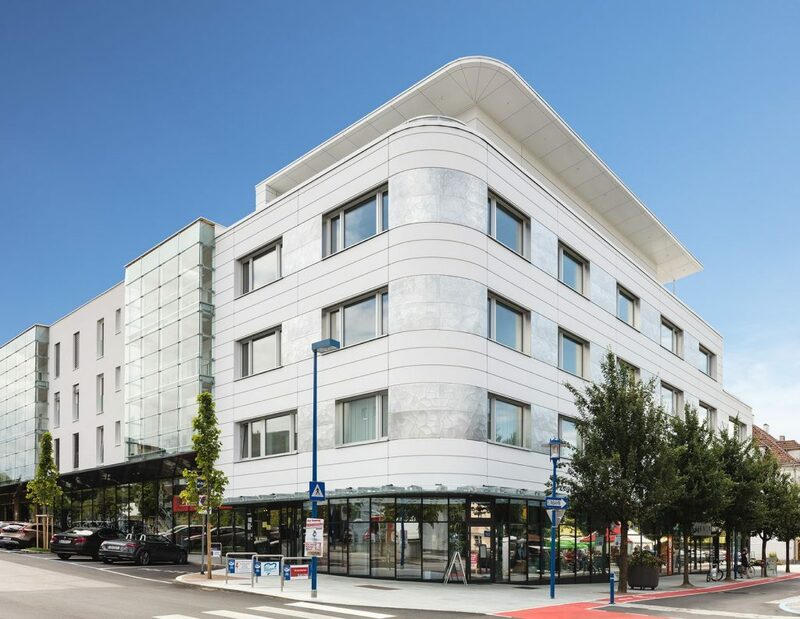 Following the demolition of one of Bad Schallerbach’s oldest building complexes, which once housed the former Hotel Post, Novares, a real estate developer from Wels, Germany, built 35 high-quality apartments, 9 shops and 7 office units in low-energy construction. Where once a small inn had been converted into a hotel complex over many decades by several extensions, the new residential and commercial building “Zentrum” was built in just under two years in about 55,000 working hours. 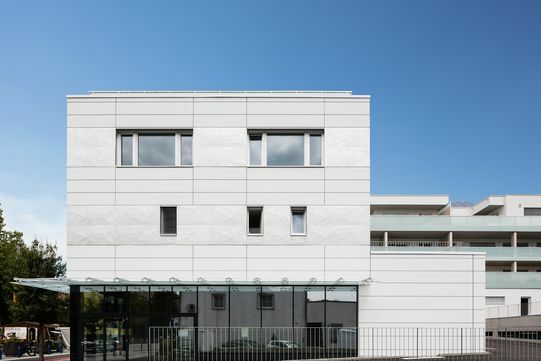 Almost 1,000 m² of metal building envelope literally rounds off this beautiful project. This was precisely the challenge. A rounded Planum façade with a radius of 2.5 m was also planned and realised. In addition, optical highlights in the façade were set by the silver-grey special façade panels. The object captivates above all by its extremely attractive and successful architecture, by its striking modern facade, by high living quality due to the use of high-quality building materials and of course by its sought-after location at the spa resort. Materials, products and technologies, as well as guidelines and regulations, are constantly driving the development of building envelopes. Ventilated curtain facades are positioning themselves better and better on the market. Due to its long service life and low maintenance and repair costs, the system is regarded as a very economical and sustainable investment.